Anti-Static And Anti-Silicone Panel Wipe. Fast Evaporation Ideal For Localised Panel Repairs. Aggressive Degreasing Action Removes Contaminants Including Silicones. 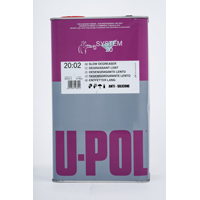 Carefully Formulated To Avoid Any Attack On Existing Paint Films.